TNI Bureau: In a shocking development this morning, Actor, Satirist and Comedian Jaspal Bhatti died of a road accident near Shahkot in Nakodar. He was 57. Bhatti was travelling from Moga to Jalandhar to promote his upcoming film, “Power Cut”, which was scheduled to be released tomorrow. Bhatti’s car hit a tree after losing balance. 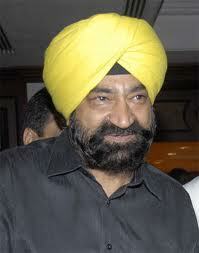 Jaspal Bhatti’s son Jasraj was driving the car. Jasraj and film’s heroine Suril Gautam were injured in the accident. They are being treated at a hospital. Jaspal Bhatti, who gave a new dimension to comedy and satire, is survived by his wife Savita Bhatti, son Jasraj and a daughter. He shot into fame with his television series ‘Flop Show’ and ‘Ulta Pulta’. Later, he appeared in many Hindi and Punjabi movies. Cabinet Reshuffle on Sunday: Will Rahul accept Offer?